How Much is a Facebook “Like” Worth to Your Business? In social media, the level of engagement is far more important than the number of fans or followers. How do they arrive at this number, you ask? 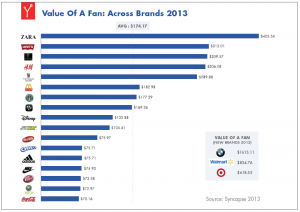 Well, the $174 figure is an average across a number of different brands and industries, and it’s calculated based upon a number of comparisons between fans and non-fans (those who have not liked a business’s Facebook page). After looking at spending, loyalty, likelihood that they would recommend the brand, satisfaction levels, acquisition cost and “affinity,” the research determined and placed a value on fans for each brand compared in the study. 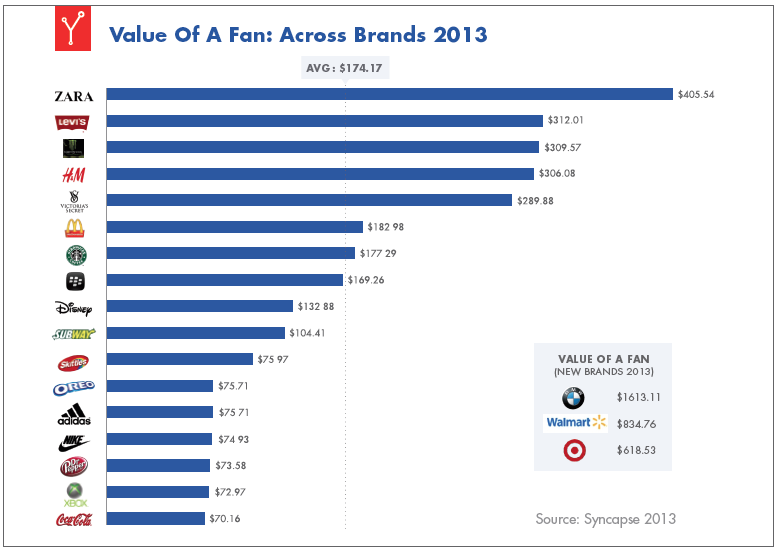 It’s worth checking out the study itself (download it here) to review the metrics and get some idea about where your business would compare based upon the value of a fan for the brand/industry that most closely matches yours. Regardless of where you land in terms of the value you place on each person who has “liked” your Facebook page, the most important takeaway from this study is this: the research proves that when you communicate regularly via social media, you influence the opinions and behaviors of your prospects and customers. The key, as I mentioned at the top of this post, is that you treat your social media marketing/outreach as a method of engaging with people rather than broadcasting or advertising to them. Do you want to learn more? Need help building engagement? Contact us here.